The Australian outback truly is remarkable. And ever changing as you drive through it. 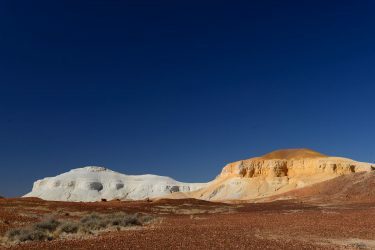 I left Coober Pedy heading north for the Painted Desert. First stop, Kanku/Breakaways again. Last night I drove in from the highway to the lookout, so today I wanted to drive in via the Moon Plain, and actually into Kanku to see the hills from ground level. It is just as beautiful, hauntingly so, when you are down amongst it. There are no walks to do through the hills, so you just keep stopping to marvel at the beauty as you drive through. 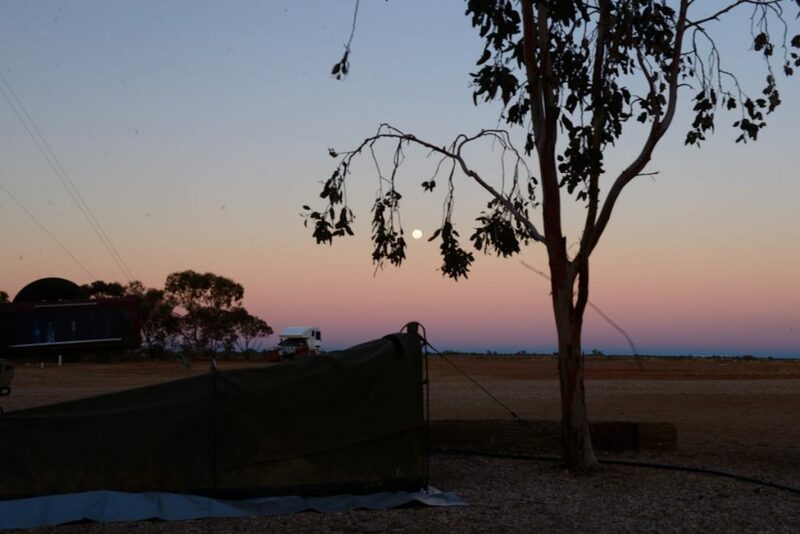 From there it was a drive along the dog fence back to the Coober Pedy-Oodnadatta Road and the Moon Desert. The change is dramatic. From the beautifully coloured hills of Kanku, the Moon Desert is bleak. 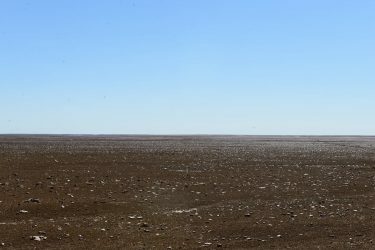 Flat, dark, rocky plains as far as the eye can see, with nothing to alter the landscape. Not a tree nor a hill. Until you notice the plains glistening in the sunshine. The black rocky ground is covered in pieces of quartz (at least that’s what I presume it is) that sparkle as you drive along. Flat quartz, like pieces of broken glass. For kilometre after kilometre after kilometre, it’s like looking at the stars on the ground, or shining diamonds scattered all over the surface. It was truly amazing. Then suddenly there are trees again, then more fields of stars. And then you reach the turnoff to the Painted Desert, where you can see the colourful hills ahead of you. Seriously, the bleak, flat plains are bookended by magnificent colourful hills. Even the ground around the hills is colourful. It was an amazing drive, and very dusty. Now I’m camped at Arkaringa where I can make short trips out into the desert to see the hills at different times of day, and do short walks along the tracks through the hills. Painted Desert is on Arkaringa Station. 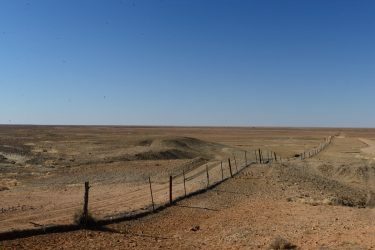 The turn off to the station is about 90km south of Oodnadatta on the Oodnadatta-Coober Pedy Road, or you can also come in from the Stuart Highway. Prepare for corrugations on the road in – some so big I thought my car was going to get lost. 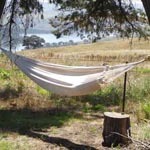 Camping at Arkaringa Station $20 per vehicle. Toilets and showers provided. There’s a communal fireplace for which you can collect wood from Arkaringa Creek. Painted Desert is a 10k drive from the station.